IN THE NEWS: Video games: risky or beneficial Playing video games may lead to improvements in areas of attention, cognitive control and workload, visuospatial skills and more. Video games may alter the reward-processing areas of your brain, potentially leading to addiction, and may desensitize players to violence. If you play video games on your TV or computer at night, be sure to take steps to protect yourself from exposure to blue light from the screen (such as wearing blue-blocking glasses after sundown). Addicted to video games: At an addiction treatment center in Amsterdam, in the Netherlands, teenagers and young adults begin detox by admitting they are powerless over their addiction. But these addicts aren’t hooked on drugs or alcohol. They are going cold turkey to break their dependence on video games. Keith Bakker, director of Smith & Jones Addiction Consultants, tells WebMD he created the new program in response to a growing problem among young men and boys. “The more we looked at it, the more we saw [gaming] was taking over the lives of kids.” Detox for video game addiction may sound like a stretch, but addiction experts say the concept makes sense. “I was surprised we didn’t think of it here in America,” says Kimberly Young, PsyD, clinical director of the Center for On-Line Addiction and author of Caught in the Net: How to Recognize the Signs of Internet Addiction — and a Winning Strategy for Recovery. “I’ve had so many parents call me over the last year or two, particularly about the role-playing games online. I see it getting worse as the opportunity to game grows – for example, cell phone gaming.” But can a game truly become an addiction? Absolutely, Young tells WebMD. “It’s a clinical impulse control disorder,” an addiction in the same sense as compulsive gambling. WELLNESS: “The Power of Bioavailable B Vitamins – What Could Your Life Look Like If You Had More?” Low levels of B vitamins are becoming more commonplace just as researchers discover exciting new benefits for this valuable family of nutrients. For the sake of your body and brain, I suggest you take advantage of their new findings and, above all, make sure you’re not making these eating and supplement mistakes. Researchers are discovering potential benefits of the family of B vitamins that are much greater than we ever imagined. Keep in mind; you don’t need to have a flat-out deficiency in any of these vitamins. Surprisingly, many of the subjects in the studies you’re going to hear about didn’t. They just had lower levels. Increasing their intake of these vitamins made all the difference for these study subjects. Going from low or even routinely recommended minimal levels to optimal levels allowed them to benefit in significant ways! 13 Signs You May Be Low in B Vitamins: Inability to sleep well, Fatigue and apathy, Mental “fog,” confusion, and forgetfulness, Mood swings and irritability, Gastrointestinal symptoms, Joint or muscle discomfort, Muscle weakness, Loss of muscle mass, Numbness or tingling in fingers and toes, Frequent bruising, Headaches, Irritability, Dry, cracking skin. Because the vitamin B complex is a group of eight major B vitamins that work together, you can impact their synergy just by running low on one. For example, many of the B complex vitamins are needed for healthy skin. If you’re low in one or two, that can affect the actions of the others. Fresh, whole foods like meat, fish, dairy, and whole grains provide ample supplies of B vitamins. Yet once you process those foods, you jeopardize the integrity of the B vitamins as many are sensitive to heat, light, air, and long storage times. As we’ve just seen, these water-soluble nutrients are required for your healthy normal: Brain and nervous system function, Growth and development, Immune function, Energy production, Cell metabolism, Organ and tissue health, Muscle, skin, and eye health, Appetite and digestion. The B vitamins act as coenzymes and play a key role in the metabolism of carbohydrate, protein, and fat. CHIROPRACTIC: INNATE INTELLIGENCE Healing comes from within. The wisdom that made your body can heal your body. Chiropractic science teaches that the body has an inborn ability to heal itself. In chiropractic, we call this innate intelligence. When you cut your finger in most cases all you need to do is clean the cut and the body will do the rest. When you break a bone if it is not severely dislocated the body can pull the bone back together and make it stronger than it was before the break. As a chiropractic physician, I rely on your body’s inborn intelligence to produce the results from care. My job is to remove the interference and let innate intelligence do the rest. Yes, we have to give innate the proper building blocks through proper diet and nutrition plus we need to stop overloading the body with toxic chemicals and depleted nutrients like refined carbohydrates or junk food. Exercise, oxygen, clean water, stress reduction and proper rest are all components necessary for good health. Drugs cannot give you healthy tissue cells, vitamins cannot give you healthy tissue cells without innate intelligence doing its job. That’s why the adjustment is so important. The doctor inside needs to have full access to every part of your body in order to maintain good health. Nerve pressure interferes with the innate intelligence’s ability to restore health. Who do you know who would benefit from chiropractic care? Chiropractic releases health from within, not from a pill. 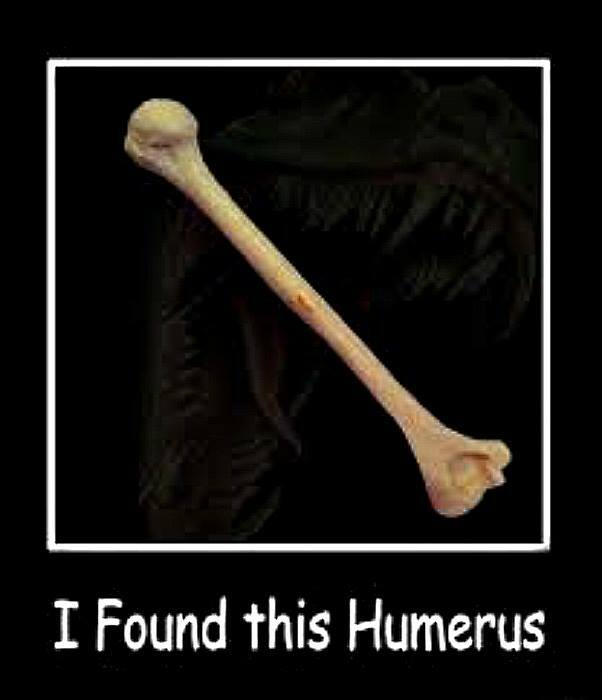 FUNNY BONES: Birthdays are good for you. Statistics show that people who have the most live the longest. @@If two wrongs don’t make a right, try three. @@Sorry for the mean, awful, accurate things I said. @@The more you weight the harder you are to kidnap. Stay safe, eat cake. 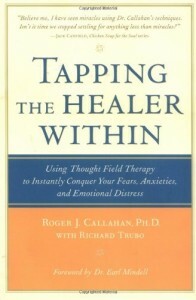 @@I just wrote a book on reverse psychology. Do *not* read it! @@You can’t be late until you show up. @@A bartender is just a pharmacist with a limited inventory. @@Whenever I find the key to success, someone changes the lock. @@Campers: Nature’s way of feeding mosquitoes. @@Don’t steal. The government hates competition. 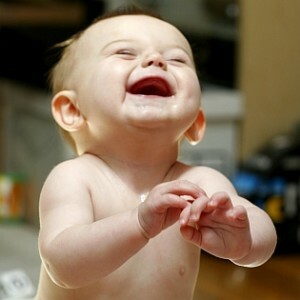 @@If 4 out of 5 people SUFFER from diarrhea… does that mean that one enjoys it? IN THE NEWS: Avoid a heart attack by eating blueberries and strawberries, according to Harvard Medical School We all know that eating fruits and vegetables is good for your health. Now new research out of Harvard Medical School is confirming that eating more berries can contribute greatly to heart health. In fact, blueberries and strawberries (in particular) contribute dramatically to this area of health, lowering the risk of a heart attack. For the study, health data came from 93,600 women who had signed up for the Nurses’ Health Study from ages 25 to 42. Over 18 years, they gave information regarding their diet. Looking at relatively young women at low risk of heart attack allowed the researchers to see many heart attack risk factors more clearly. The evidence is clear: Reduce heart attack risk up to 34 percent by eating blueberries and strawberries. 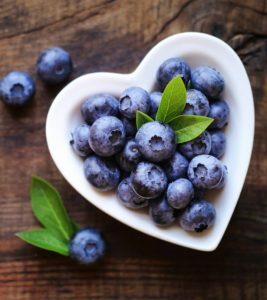 The researchers determined women who ate the least strawberries and blueberries were at a higher risk for having a heart attack. Those who ate the highest amounts of these fruits were a full 34 percent less likely to suffer a heart attack. WELLNESS: How to Get Rid of a Cough Contrary to what many people believe, a cough is not a disease in and of itself – rather, it’s a symptom, a warning sign that your body gives out to let you know that there’s something wrong with your health, and that there’s an underlying condition that you need to take care of. For example, a cough can present itself with the common cold and other types of respiratory illness. It may manifest if you have gastrointestinal problems like GERD, or may be triggered by prescription medications. In some cases, it may be a sign of a severe health disorder, such as if you’re coughing up blood – a condition called hemoptysis, which can be indicative of tuberculosis, bronchitis or even lung cancer. So what you do with a simple cough? A study found that raw honey works just as well as dextromethorphan, an ingredient used in OTC drugs, to soothe cough triggered by upper respiratory tract infections, particularly in children. Drinking enough water helps thin out mucus. It also keeps mucous membranes moist, which may reduce the need to cough. 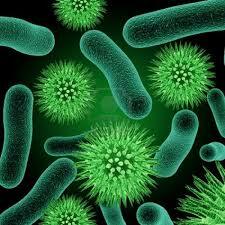 NOTE: If you have signs or symptoms of getting sick call for an appointment and try a natural approach first. There are no safe drugs plus they don’t get the roots of the problem. CHIROPRACTIC: Is chiropractic your first choice in healthcare? We have said for many years that if you have a health challenge you should consider chiropractic/natural healthcare first, drug second and surgery last. You might have to think about this for a while to understand the wisdom. Here is a case history that demonstrates some of the wisdom of this recommendation. The patient was a female in her mid-20s and she recently had a child but was unable to hold it because of seizure activity. She was involved in a serious car accident where she was almost thrown through the windshield of the car. She had significant head trauma which led to seizures. She was put on seizure medication which controled them for a period of time but then she started having breakthrough seizures which made it dangerous for her to hold her child without supervision. Her doctor informed her if they raised the level of her medication it could be fatal. It is common that our patients are referred to us by other patients which is how she came to make an appointment. She presented with not only seizures but of course she had neck and back pain from the accident, she suffered from significant headaches since the accident, she had knee pain which they were considering surgery for and she also complained of pain over her last remaining ovary. Her other ovary was removed because of pain they could not control. Our exam indicated she had subluxations (spinal misalignments) and other signs of trauma that appeared in her x-rays and physical exam. She began treatment and soon noticed her seizure activity was diminishing, within time she was seizure free and was excited she could hold her baby again. Her headaches became a thing of the past along with her knee pain (no surgery necessary) and then what excited her the most is she was no longer having pain over her last remaining ovary. This was important because she wanted to have more children. I see this type of story repeated hundreds of times in my practice. Patients come in with conditions no one else can help them with and through chiropractic adjustments, nutritional therapy and other lifestyle changes their bodies get well. Who do you know who would benefit from chiropractic? Maybe you’re not sure if their condition will but send them to us anyway we would be the first to tell them if we couldn’t help them. 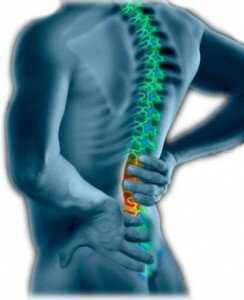 Only a chiropractic physician knows if chiropractic could help. FUNNY BONE: I used to be a people person…. But people ruined that for me@@I just checked my account balance at the ATM. It printed me a coupon for ramen noodles@@I don’t mean to brag but… I finished my 14 day diet and three hours and 12 minutes. @@When a woman says “what?”, It’s not because she didn’t hear you. She’s given you a chance to change what you said. @@I’m jealous of my parents, I’ll never have a kid as cool as they did. @@Sometimes I wake up grumpy; other times I let her sleep. @@If your parents never had children, chances are you won’t either. @@I’m not shy, I’m holding back my awesomeness so I don’t intimidate you. 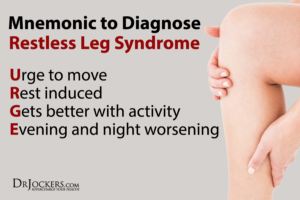 IN THE NEWS: Things to Know About Restless Legs Syndrome If you’ve ever been reading a book or watching TV in the evening and felt a strange, powerful urge to move your legs, you may have experienced the characteristic symptom of restless legs syndrome (RLS), also known as Willis-Ekbom disease. People may variously describe the feeling as creepy-crawly, jittery, or electrical. The hallmark of RLS is “the uncontrollable urge to move the leg, that comes on at rest [while awake],” says Suzanne Bertisch, M.D., a sleep physician at Beth Israel Deaconess Medical Center and an assistant professor of medicine at Harvard Medical School. 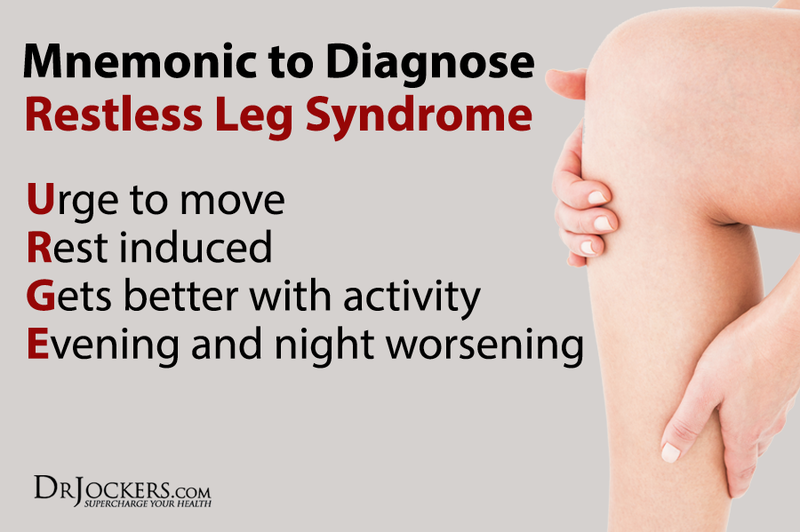 Symptoms of restless legs syndrome may affect as many as 7 to 8 percent of all U.S. adults, with 2 to 3 percent of people having cases severe enough to require medication. Yet there’s a lot experts still don’t know about RLS, and it can be tricky to treat. For Restless Legs Syndrome Awareness Day, here are five things you should know about this condition. Drugs for RLS Can Have Serious Side Effects so what is the alternative? Regular moderate exercise can reduce symptoms in some people, Not getting enough sleep can also trigger restless legs symptoms. Antihistamines are thought to make RLS worse, as much as 43% of RLS is associated with insufficient iron levels, 89% of RLS-associated conditions have been associated with inflammatory changes which also can cause iron levels to drop. Ask for an anti-inflammatory diet at the front desk. WELLNESS: Don’t want dementia? Turn off your TV— A healthy lifestyle builds brain resilience and really WILL keep dementia at bay – even if you’re predicted to get it – and here are the tips to follow, reveals largest study of its kind– Alzheimer’s disease really can be avoided by following a healthy lifestyle – even if you’re predisposed to get it, the largest study of its kind has revealed. Exercising, monitoring blood pressure and watching less TV are the three key factors that will help build brain resilience and keep the disease at bay. 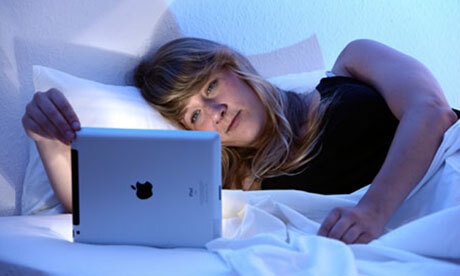 Researchers at the University of California in Irvine began the ’90+ Study’ in 2003. Tests were carried out on the 1,700 participants every six months to monitor their cognitive ability. Post-mortems were conducted upon their death. Astonishingly half of the dementia-free patients had the hallmark brain plaques – which lead to memory loss and dementia – when they died. Meanwhile half of the dementia patients did develop symptoms of memory loss – even without having these build-ups in their brain. Professor Claudia Kawas, lead researcher, suggested the reason for such ‘cognitive resilience’ in those who should have developed dementia but remained free of it was down to a healthy lifestyle. CONDITION OF THE WEEK: A Better Life With Chiropractic Why take your kids to the chiropractor? For many of the same reasons every adult should be visiting a chiropractor on a regular basis. Plain and simple, your quality of life improves with chiropractic care. Look no further than a study published in the Journal of Alternative and Complementary Medicine, which evaluated nearly 900 children ages 8-17 who received chiropractic spinal adjustments and related therapies commonly provided by DCs. Quality of life, measured in terms of depression, anxiety and interference with daily activities due to pain as part of the Patient Reported Outcomes Measurement Information System (PROMIS)-25 assessment tool, was significantly higher in children under the care of a chiropractor. Specifically, children were significantly less likely to report any symptoms of depression, anxiety or pain interference following a trial of chiropractic care. The researchers also accounted for variables that could have influenced the outcomes, such as number of visits, pain level, motivation for care, etc. Give your children (and yourself) a better life with chiropractic. The sooner your kids experience the health and wellness benefits of regular chiropractic care, the better. After all, what parent doesn’t want their children to grow up with as little depression, anxiety and pain as possible? Talk to your chiropractor for more information. 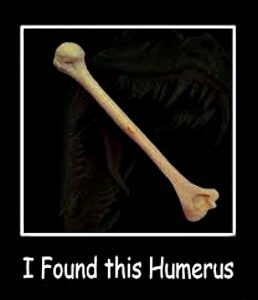 FUNNY BONE: I said to the gym instructor, “Can you teach me to do the splits?” He said, “How flexible are you?” I said, “I can’t make Tuesdays.”@@ A man entered a local paper’s pun contest. He sent in 10 different puns, in the hope that at least one of the puns would win. Unfortunately, no pun in 10 did. @@ Thanks for explaining the word “many” to me. It means a lot. @@ I was on a flight the other day when the air hostess came up to me and said, “Excuse me sir, would you like to have dinner?” I said, “What are the options?” She said, “Yes and No.”@@ My favorite color is purple. I like it more than blue and red combined. @@ What do you call a Mexican bodybuilder who’s run out of protein? No whey Jose. @@ My girlfriend told me she was leaving me because I keep pretending to be a Transformer. I said, “No, wait! I can change.”@@ I used to be a narcissist. But now look at me. @@ I bought a dog off a blacksmith today. As soon as I got it home it made a bolt for the door. @@ I haven’t owned a watch for I don’t know how long. @@ I failed my driver’s test today. The instructor asked me “What do you do at a red light?” I said “I usually check my emails and see what people are up to on Facebook.” @@ Whatever you do, always give 100%. Unless you’re donating blood. @@ Never let a fool kiss you, or a kiss fool you. @@ Do bankruptcy lawyers really expect to be paid? IN THE NEWS:. STD Prevalence Skyrockets Amid Concerns Over Growing Antibiotic-Resistance Three of the more commonly transmitted diseases have reached record levels in the U.S. Nationwide, there were 1.6 million cases of chlamydia in 2016, 470,000 cases of gonorrhea and 28,000 new cases of syphilis. Mutations of the Neisseria gonorrhoeae bacteria that cause gonorrheal infections have led to a high incidence of antibiotic resistance, making it extremely difficult to treat. Research looking at syphilis samples from the U.S., South America, Europe, Africa and Australasia found both of the two main strains of syphilis have developed antibiotic resistance. STD prevalence in California has increased by 45 percent in the past five years. In 2017, 300,000 cases of chlamydia, gonorrhea and syphilis were reported, 54 percent of cases occurring in those under the age of 25. The number of babies born infected with syphilis quadrupled, and with it, stillbirths spiked as well. Of the 278 congenital syphilis cases on record in California last year, 30 resulted in stillbirth, which is triple the number of syphilis-related stillbirths reported in 2016. WELLNESS: Mercury poisoning: Ways “silver” dental fillings can destroy your health Many integrative healthcare providers describe chronic exposure to mercury as a “biochemical train wreck” and an “underreported epidemic.” To find the primary source of low-level mercury poisoning, many of us need look no further than our own dental work. “Silver” dental fillings, used on almost half of all dental restorations in the United States, contain 45 to 55 percent mercury – and the simple acts of chewing and drinking hot liquids can cause the release of harmful mercury vapors. Accumulating in the brain, kidneys, liver, lungs and gastrointestinal tract, mercury jeopardizes human health in literally dozens of ways. The symptoms of mercury poisoning listed below range in severity from merely annoying to potentially life threatening. But be advised: as shocking as it seems, this overwhelming litany of harm is just a partial list. Emotional and psychological symptoms According to the IAOMT, mercury exposure can cause a “baker’s dozen” (more or less) of truly disturbing psychological symptoms – including aggression, suicidal ideation, fits of rage, mood swings and manic depression. Gastrointestinal problems Mercury disrupts the intestinal flora of the gut microbiome, the community of beneficial bacteria that helps to regulate health. 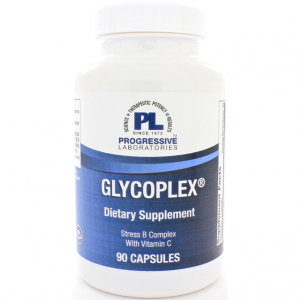 This can result in digestive complaints such as diarrhea, constipation, loss of appetite and weight loss. Other GI symptoms from low-level mercury poisoning include nausea, vomiting and heartburn. Respiratory difficulties asthma, allergies, bronchitis, emphysema, chest congestion, shortness of breath and shallow respiration. Reproductive issues Reproductive problems linked to mercury include Infertility, lowered sperm count, premenstrual syndrome, genital discharge and spontaneous abortions. 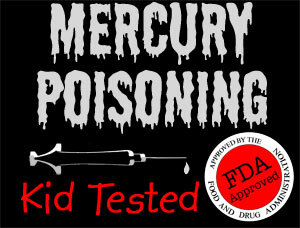 Neurological disorders Tremors, paralysis, neuropathy, epilepsy, headaches, dizziness and vertigo have been reported with mercury poisoning. Impaired immune system According to Dr. McGuire, mercury poisoning can significantly impair the immune system, raising susceptibility to disease and causing autoimmune disorders. CHIROPRACTIC: Chiropractic is a healthcare discipline that emphasizes the inherent recuperative power of the body to heal itself without the use of drugs or surgery. The practice of chiropractic focuses on the relationship between structure (primarily the spine) and function (as coordinated by the nervous system) and how that relationship affects the preservation and restoration of health. In addition, doctors of chiropractic recognize the value and responsibility of working in cooperation with other health care practitioners when in the best interest of the patient. One of the best things about receiving chiropractic adjustments is that they are a completely drug-free path to healing the body naturally. Chiropractic benefits including helping to naturally improve problems such as: Back pain, Headaches, Bowel regularity, Improved mental clarity, Ear infections, Neck pain, Arthritis and joint pain, Scoliosis, Asthma, Blood pressure, Healthy pregnancy, Organ function, Surgery prevention. Despite its popularity, there are still a lot of misconceptions about the field of chiropractic care, including how the practice works and how chiropractors are trained. For example, did you know that many chiropractic programs incorporate an entire year of PhD-level advanced nutrition training? Think chiropractic first, drug second and surgery last. FUNNY BONE: Thank God I don’t have to hunt for my food, I don’t even know where tacos live…@@That frail moment when you pull your blankets up and punch yourself in the face. @@When people tell me “you’re going to regret that in the morning,” I sleep in until noon because I’m a problem solver. @@It’s okay if you disagree with me, I can’t force you to be right. @@Dear pimples if you’re going to live on my face, I need to see some rent. @@Working in a mirror factory is something I can totally see myself doing. @@Someone stole my Microsoft Office I said, “ they’re gonna pay. You have my Word.”@@I feel bad for the homeless guy, but I feel really bad for the homeless guy’s dog, It must be thinking “man, this is the longest walk ever.”@@Someone stole my mood ring, I don’t know how I feel about that.